One of my favourite online stores, The Pokey Hat, has received a nomination at the Scottish Fashion Awards 2013 for Scottish Retailer of the Year. Wow Wow Wow!! 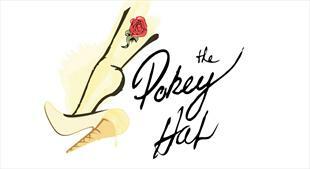 The Pokey Hat is a relatively new online destination, founded only in 2011 from a simple eBay store. It is owned by fellow Glasgow gal, Jennifer Welford and named after a famous Glaswegian ice cream cone. Jennifer considers that "clothing is the furniture of the mind" and when founding the store she wanted to provide her customers worldwide with apparel that tells everybody exactly who you are! The store carries the hottest of brands and the boldest of styles. Designers such as MinkPink and Jeffrey Campbell are listed in the Pokey Hat's Inventory. To be nominated for Scottish Retailer of the Year is a tremendous achievement . The Pokey Hat has truly achieved tremendous success in such a short period of time and it is fantastic that Jennifer and her store is being recognised for that. The Scottish Fashion Awards is an annual event which celebrates the best of Scottish fashion talent. The 2013 event will be held in London for the first time ever on October 9th. Previously, the awards have always been held in Scotland. Awards founder Dr Tessa Hartmann said: ”To showcase the nations top talent in the UK’s fashion capital London in 2013, will allow an even wider audience to become acquainted with what we have to offer as ‘Fashion Scotland’ and enable the talent to network with the UK’s top industry players, fashion editors and buyers. London is after all the UK's fashion capital, it's where the top talent converse, exchange ideas, learn, grow and do business." Other nominees include the likes of Victoria Beckham, Chanel, Moschino and Kay Barron - fashion features director at Net-a-Porter. It truly is incredible and well deserved that The Pokey Hat is amongst such well established and prestigious fashion brands.